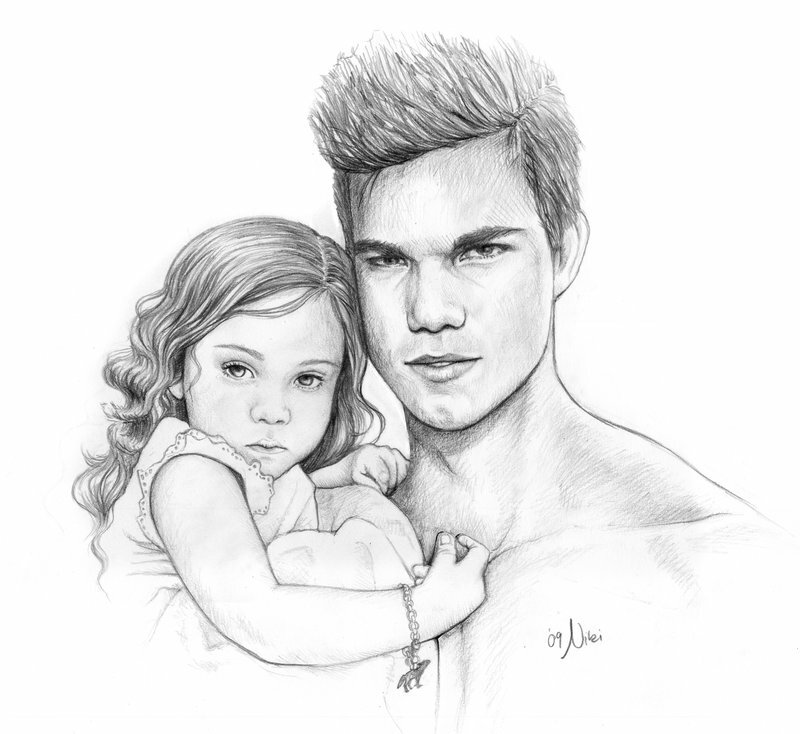 Jake & Nessie.. . HD Wallpaper and background images in the Jacob Black and Renesmee Cullen club tagged: renesmee nessie jacob black renesmee cullen jake jake and nessie fanart drawing imprint. This Jacob Black and Renesmee Cullen photo might contain 皮肤, 肤色, 裸色, 偏下体, 暗示裸体, skintone, 部分裸体, 隐含的裸露, 部分下体, 隐含的裸体, 肖像, 爆头, 特写镜头, 特写, and 爆头特写.